PRESS RELEASE / BOSTON, MA – Mayor Martin J. Walsh and the City of Boston, along with Boston Garden Development Corp. announced today that Boston’s highly-acclaimed seasonal activation, The Patios presented by Berkshire Bank, will return to City Hall Plaza on Thursday, May 2. The space will officially open to the public at 5:00 p.m. 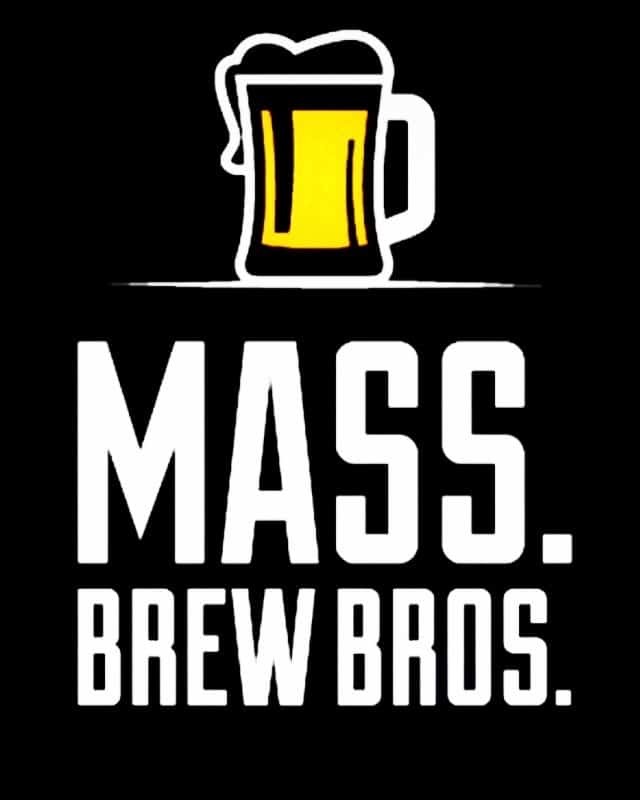 The Patios debuted in May 2018 as a highly successful place making initiative and, with the help of Wachusett Brewing Company, a very popular foray into the outdoor beer garden trend. Through combined efforts between City of Boston Property Management, BRM Production Management, Citywide Contracting and Boston artist Jeff Smith, the underutilized southeastern corner overlooking Faneuil Hall has been transformed into a daily destination for locals, tourists, and commuters alike. The Patios open this season with a slightly extended footprint, making way for the return of fan favorites like the Wachusett Brew Yard, Wag Wednesdays and putt-putt mini-golf, and some new activations that are sure to get Bostonians pumped for patio season. Wachusett Brewing Company, celebrating its 25th anniversary this year, is proud to return to the plaza with its iconic Airstream trailer to offer pints on The Patios, pouring Monday-Thursday beginning at 4:00 p.m., and 12:00 p.m. Friday-Sunday. WBC will be returning with eight beers on draught, including their popular Blueberry and Wally New England IPA Series. New this season is Wachusett’s Scratch Cocktails Margarita, a refreshing, tangy, and tart creation perfect for patios season, and the debut of their new Fifty Trees Hard Cider, featuring locally-sourced apples. Their refreshing Watermelon and Strawberry beers will also be served all summer long. WBC will be bringing back their popular Guest Tap series, featuring local breweries throughout the summer, in addition to offering Nauti Hard Seltzers and locally-based Archer Roose wines. Bittersweet Homestead, based out of Westminster, MA, will be welcomed back with a larger pop-up location at the front entrance of The Patios and will now operate seven days a week. The expanded menu will feature everything from coffee, tea and their famous fresh squeezed lemonade, to hot dogs, Italian sausages, and other sweet treats. Additionally, Boston Seasons presented by Berkshire Bank is excited to share the arrival of the all-new Boston Public Market at City Hall. This local farmer’s market will operate on Tuesdays and Thursdays from 11:30 a.m. to 6:30 p.m. from May 21 through November 19. 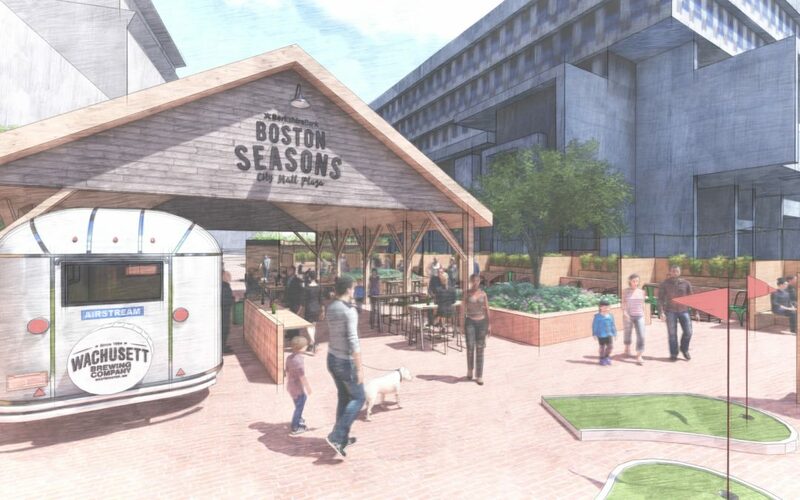 Boston Public Market at City Hall will be the most convenient stop for all the ‘farm to patios’ items needed to create the perfect outdoor sips and snacks. More information on Boston Public Market at City Hall to come in the following weeks. The Patios will now be fully-equipped for bringing the office outdoors. Each of the nine, custom furnished patios will be outfitted with multiple power outlets. The wi-fi networks have been completely upgraded to support the next team meeting or simply provide an ‘out-of-office’ sanctuary for individuals looking to add a breath of fresh air to their work week. This season, in partnership with the City of Boston’s Office of Economic Development Small Business Unit, The Patios has extended the food truck program for the post-work crowd. This addition adds a whole new schedule of food trucks from Monday through Saturday, 5:00-8:00 p.m. The extended schedule includes Maria’s Taqueria, Mediterranean Home Cooking, Trolley Dogs, Roxy’s Grilled Cheese, Clyde’s Cupcakes, and Tacos Don Beto. The Patios will continue to serve as a daily destination for lunch crowds with several food trucks in place from 11:00 a.m.-3:00 p.m. daily. Complementing the new daily programming will be one of last year’s most popular activations, ‘Wag Wednesdays’, taking place every Wednesday from 12:00 p.m.-2:00 p.m. each week. Shultz’s Guest House, a dog rescue based out of Dedham, MA, will bring a variety of puppies to meet and play with visitors in hopes to connect them with information on fostering and adoption. In 2018, Wag Wednesdays at The Patios resulted in more than 200 adoption applications and nearly 30 pups being placed with their forever families. Other family-friendly activities like putt-putt mini-golf holes will once again be free for public use seven days a week. Additional activities will be added throughout the season. The Patios is a part of ‘Boston Seasons presented by Berkshire Bank’, a three-year plan created by Boston Garden Development Corp. and the City of Boston Property Management Department to revitalize the existing plaza at City Hall and create a vibrant welcome public space for all. Located in the center of the City and just steps from the MBTA’s Orange and Green lines, The Patios serve as an urban oasis for residents, commuters, and visitors offering daily programming from picnics, pints, putt-putt and more. ‘The Patios’ will officially open on May 2 at 5:00 p.m.
For more information, including the schedule of events, please visit: www.CityHallPlazaBoston.com. Click the above image for more details or to RSVP to on our collaboration beer release event with DBC and Wicked Twisted Pretzels. Berkshire Hills Bancorp is the parent of Berkshire Bank. With $12.2 billion in assets, Berkshire provides business and consumer banking, mortgage, wealth management, investment and insurance services through 109 full service branch offices throughout New York, Connecticut, Vermont, New Jersey, Pennsylvania, and Massachusetts. The Company has a pending agreement to acquire SI Financial Group, Inc. and its subsidiary, Savings Institute Bank and Trust Company, and Trust Company, a $1.6 billion dollar bank with 18 branches in Eastern CT and 5 branches in Rhode Island, adding to Berkshire existing Connecticut branches. To learn more, visit www.berkshirebank.com, call 800-773-5601 or follow us on:Facebook, Twitter, Instagram and LinkedIn. Berkshire Bank is the official bank of NESN’s Boston Bruins coverage, the Pan-Mass Challenge and the community partner of Boston Seasons at City Hall Plaza. Boston Garden Development Corp., a subsidiary of Delaware North, is overseeing the efforts as the City’s selected vendor to enhance City Hall Plaza. Delaware North is one of the largest privately-held hospitality and food service companies in the world. Founded in 1915 and owned by the Jacobs family for 100 years, Delaware North has global operations at high-profile places such as sports and entertainment venues, national and state parks, destination resorts and restaurants, airports, and regional casinos. Learn more about Delaware North at www.delawarenorth.com.